COMPLETED 2009 | 3,500 S.F. 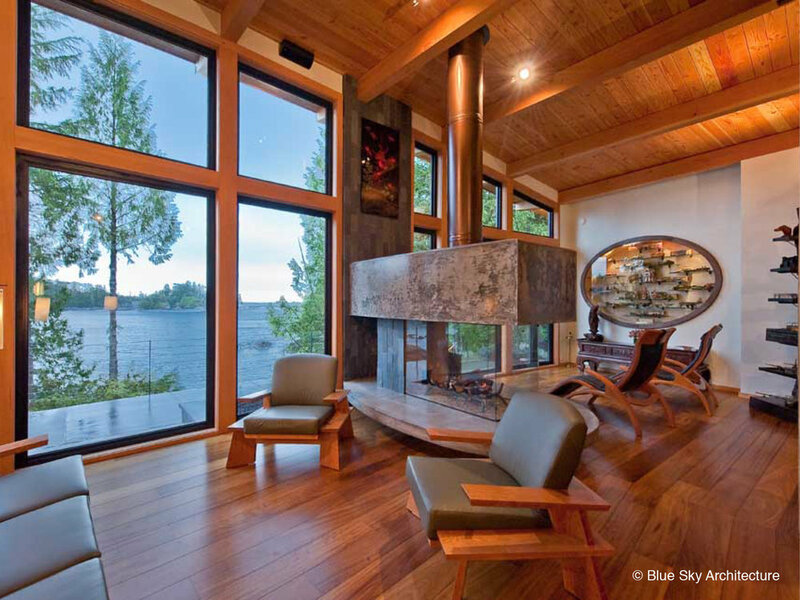 Perched on a rocky shoreline above a protected cove on the west coast of Vancouver Island, this house nestles into its site, a backdrop for the forest architecture of the residence. 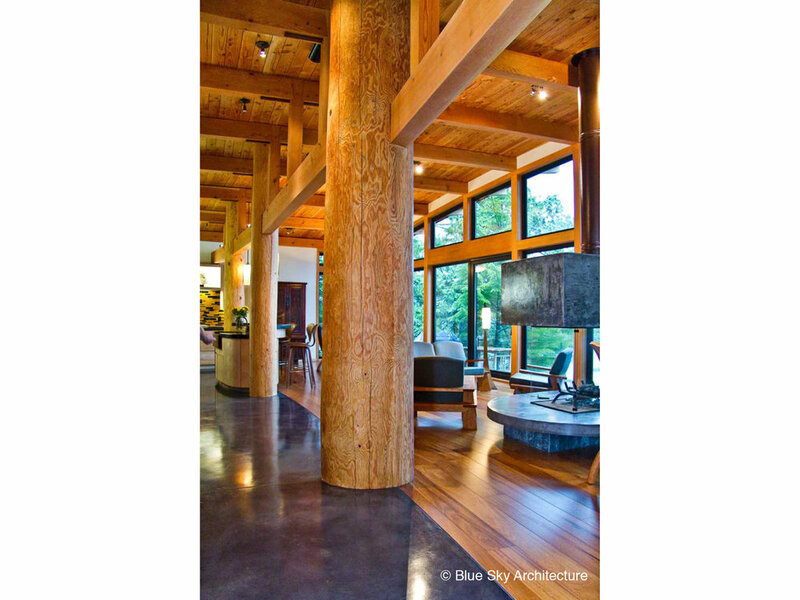 The home incorporates massive log timbers found in this region for a structural timber frame. 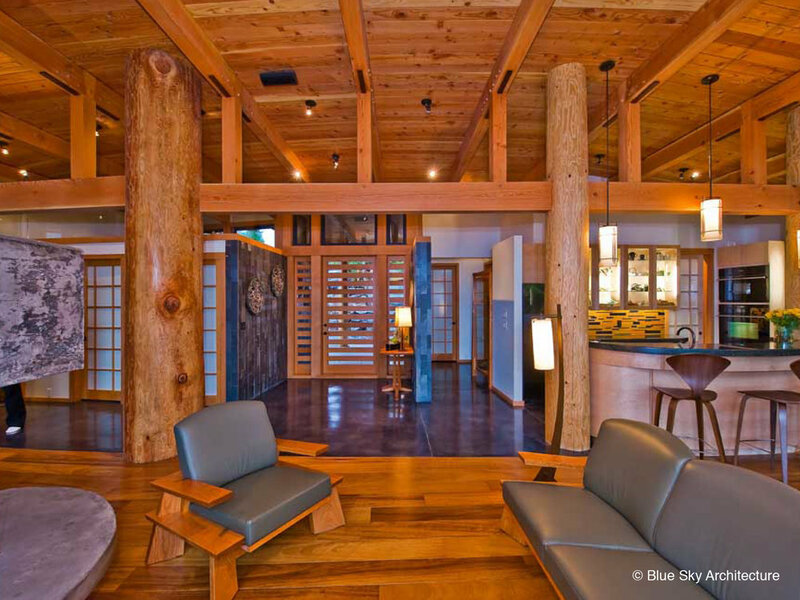 Fine craftsmanship is displayed throughout in the timber frame, millwork and cabinetry. 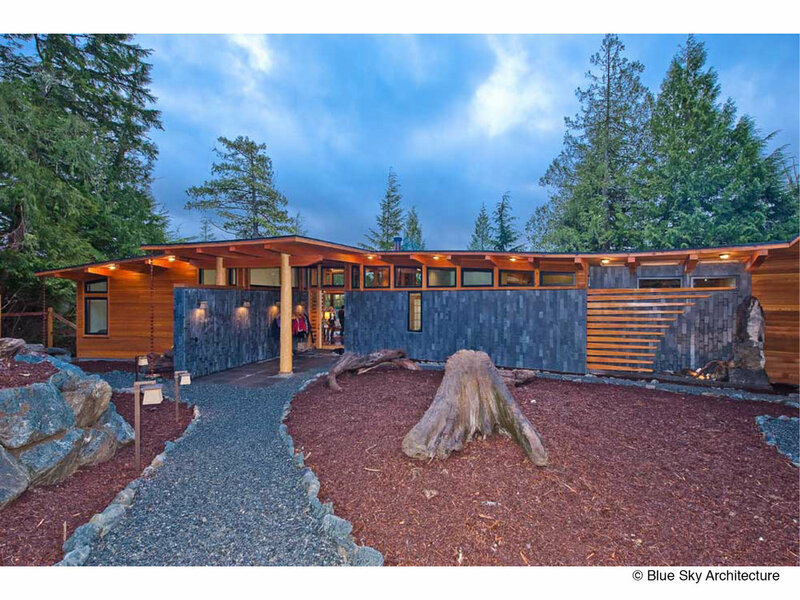 Clear cedar siding, black stone tiles and charcoal vinyl windows create a resilient skin for the stormy weather of the west coast.